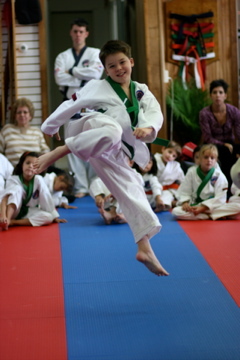 Learn Tang Soo Do! 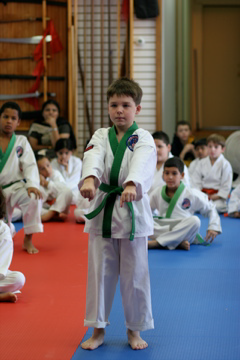 If you've ever considered studying the Martial Arts, now is the time and Stamford Martial Arts is the perfect place! Tang Soo Do karate integrates the graceful movements of Northern Chinese karate with the sharper techniques of centuries-old Korean Soo Bahk Do. 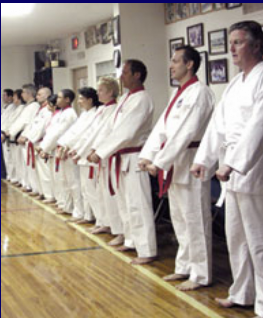 It is admired and respected throughout the Martial Arts world for its beauty and effectiveness. At Stamford Martial Arts you can expect your classes to provide fitness, stress reduction, personal development and camaraderie. 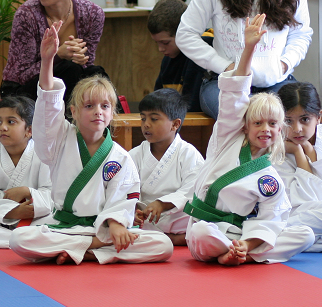 Tang Soo Do means "Way of the Open Hand." The "perfect start" - planting the seeds of success, respect and self control. This energetic program helps develop listening skills, coordination and fitness. It is offered to children ages 4-5. Guaranteed fun! 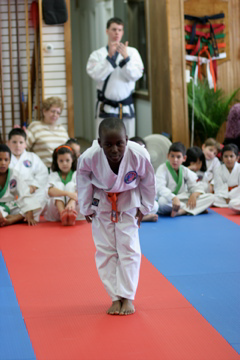 Traditional karate develops positive, life coping skills for children that will last a lifetime. Our programs reinforce what is being taught at home and provide lessons that help deal with the challenges of today's world. Your child will gain friendships in a disciplined and structured environment. 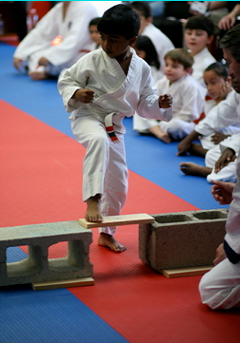 Childhood exercise is essential to well-rounded development. 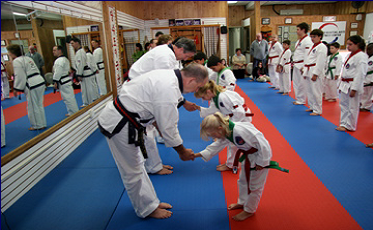 Join us at Stamford Martial Arts for classes that provide a unique growth potential. 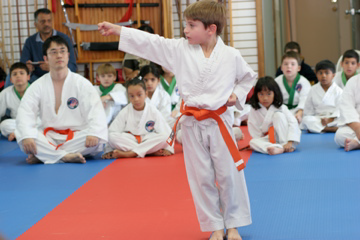 "Our curriculum is based on Traditional Martial Arts Principles"
1. I intend to use Tang Soo Do to develop myself in a positive manner and to avoid anything that would limit or reduce my mental growth or physical health. 3. I intend to use what I learn in class constructively and defensively to help myself and others and never to be abusive or offensive.